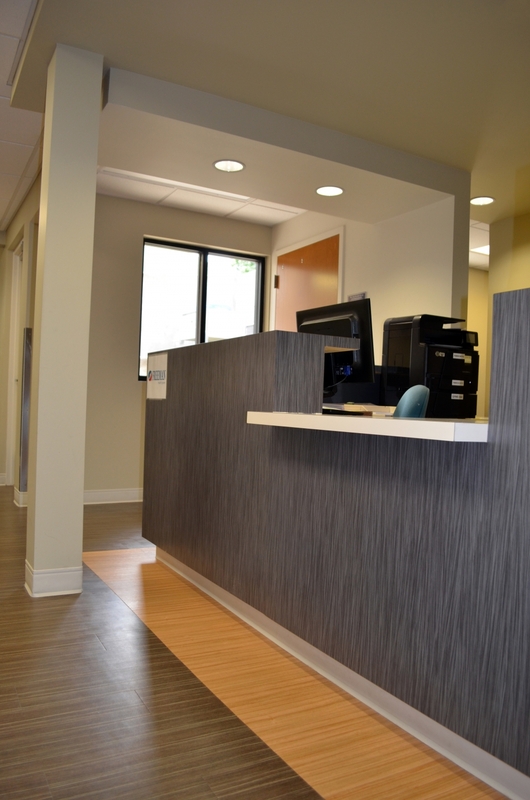 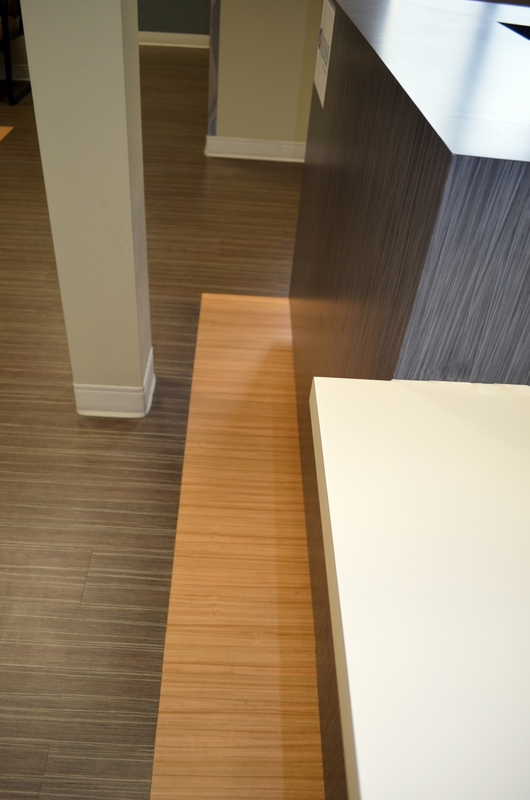 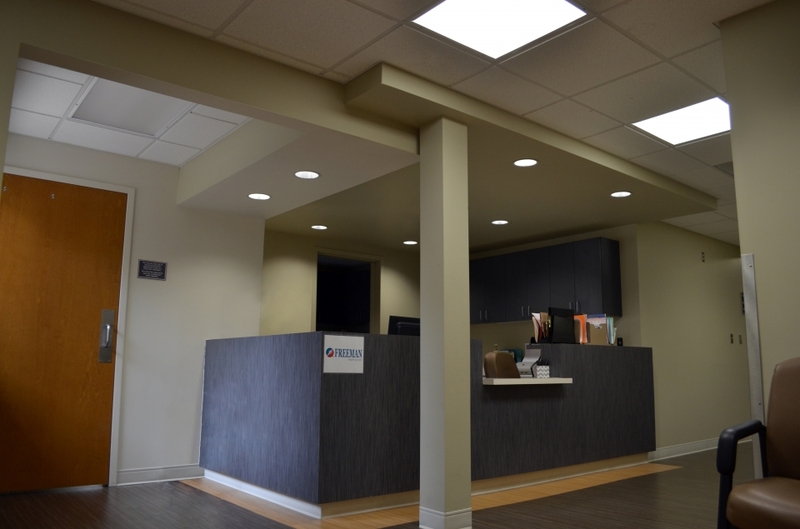 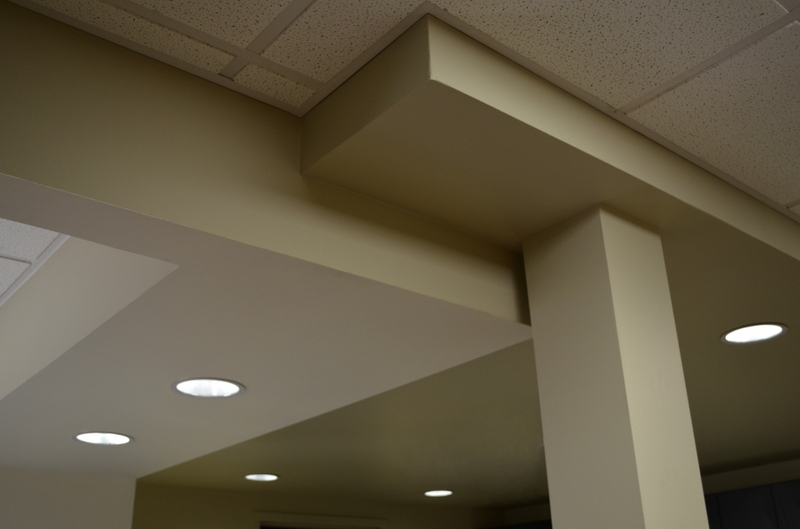 The renovation for the Midwest Orthopaedics office included updated waiting, reception, and exam rooms. 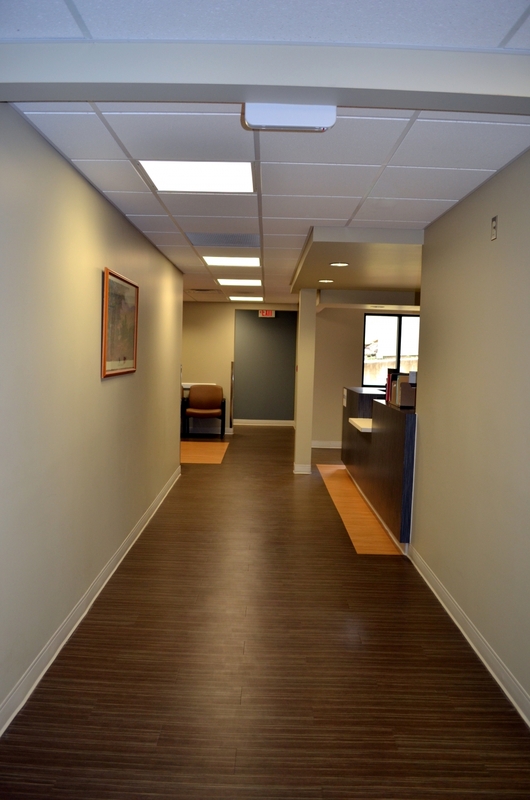 Wayfinding within the office was employed through the use of colors and intersecting rectangular forms. 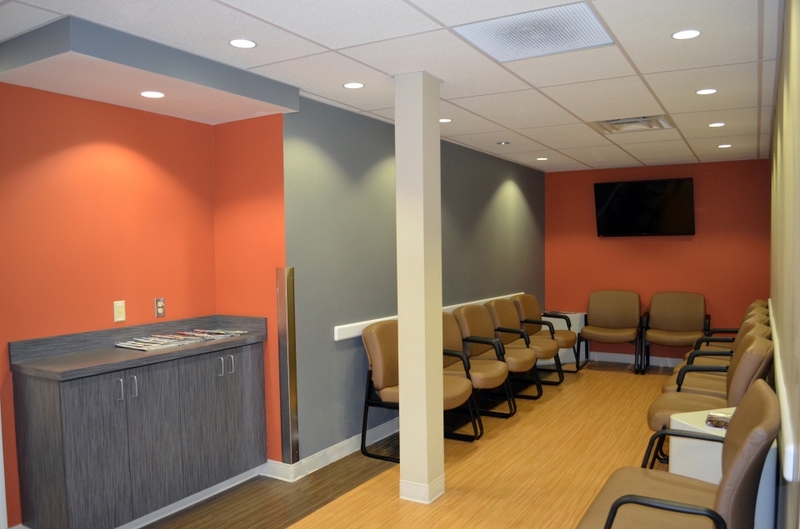 The waiting area is a comfortable, relaxing environment where patients and family members can feel at ease. 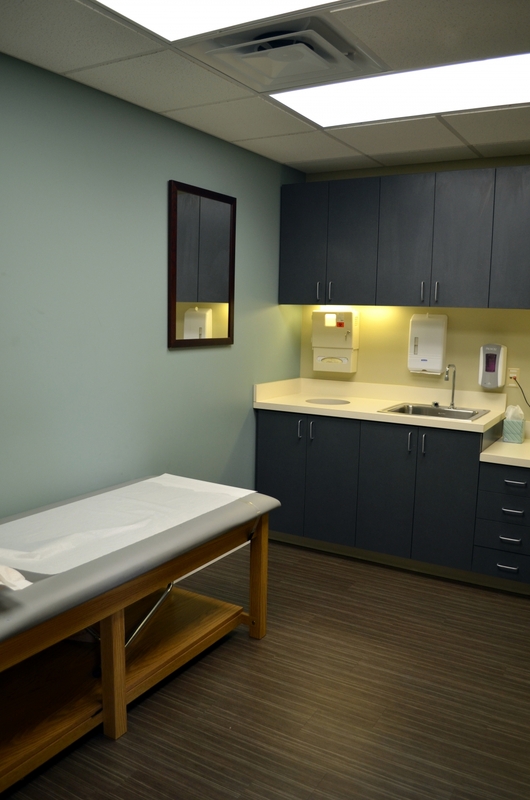 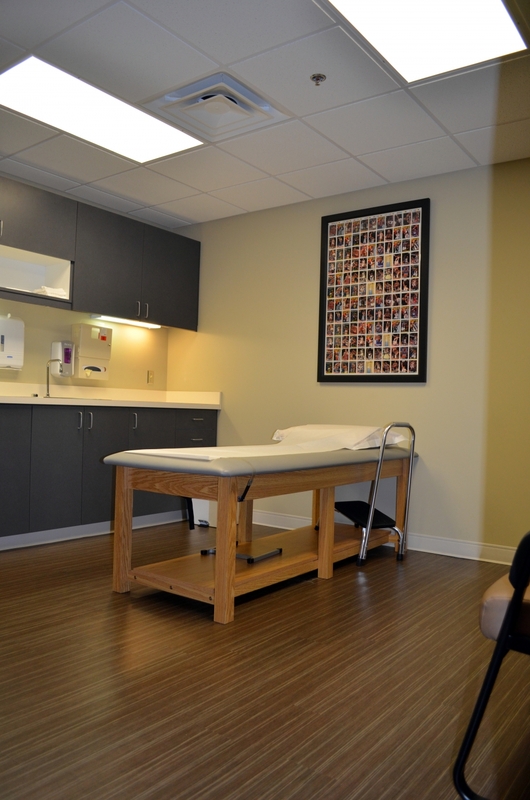 Updated exam rooms provide ample space and the latest technology for assessing injuries.